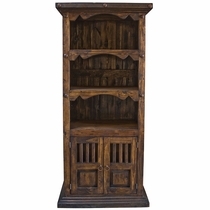 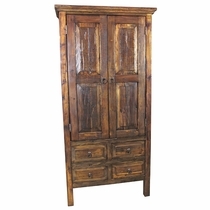 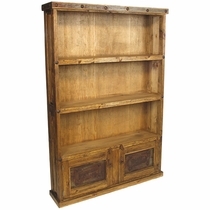 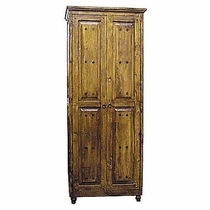 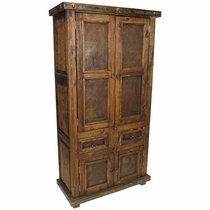 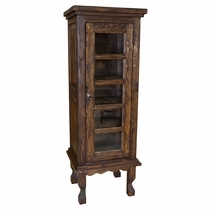 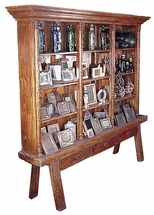 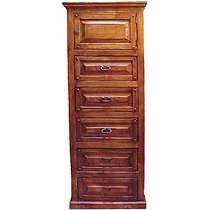 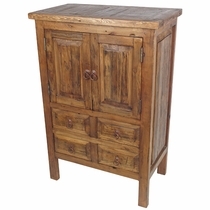 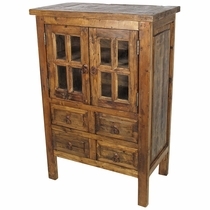 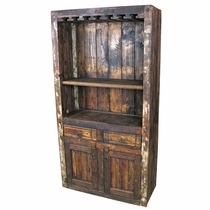 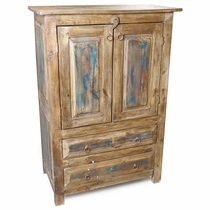 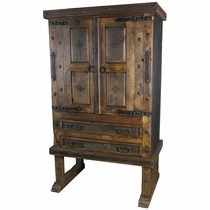 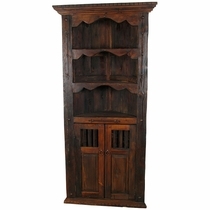 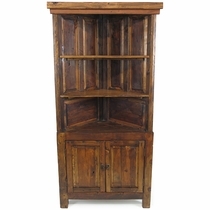 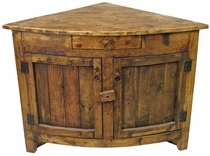 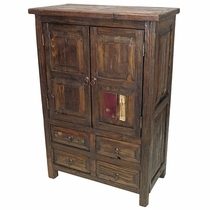 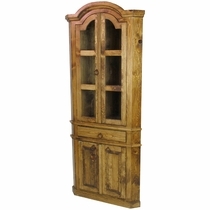 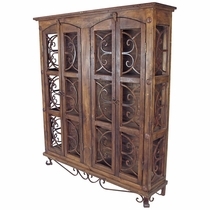 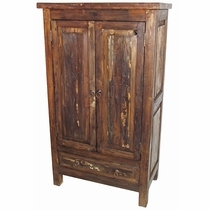 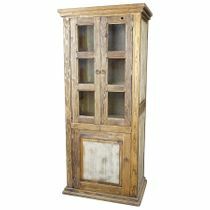 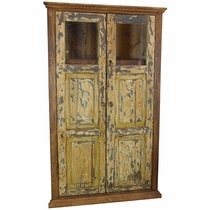 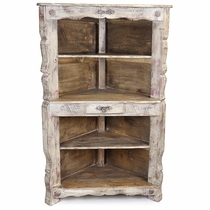 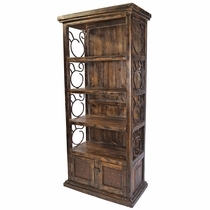 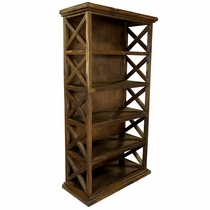 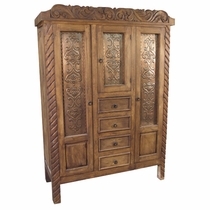 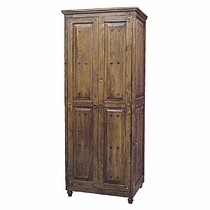 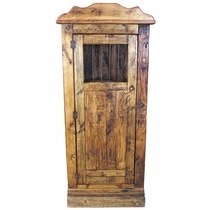 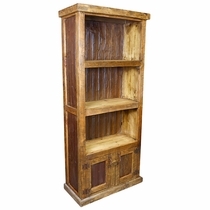 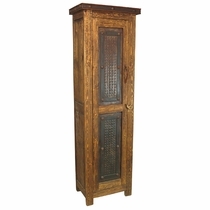 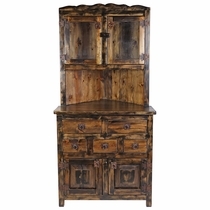 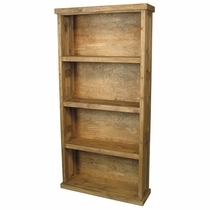 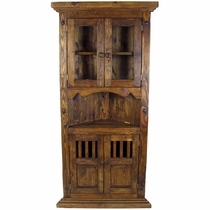 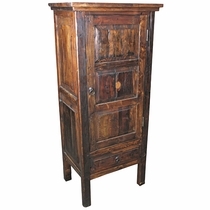 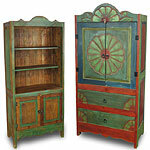 Our old wood armoires, cabinets and bookcases will enrich any southwest or rustic decor with an authentic Spanish Colonial or Mexican hacienda theme. 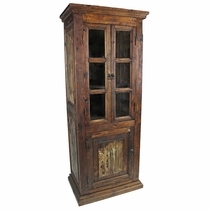 Working with mostly old doors and rustic old wood, the experienced craftsman create these magnificent armoires with the texture and character of a rustic antique from Spanish colonial times. 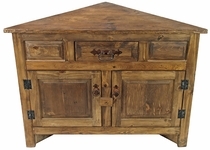 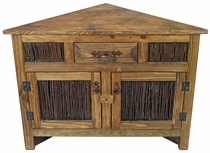 The one-of-a-kind character of our old wood rustic furniture is enhanced by the age-old grain, weathering, and old rustic hardware that still remains on the wood. 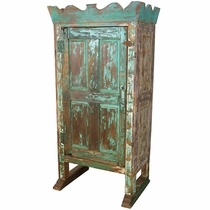 Each piece is a unique creation, so expect some variations in size, color and hardware elements.